Cornerstone Family Violence Prevention Centre accredited by FOCUS Accreditation for the second time! 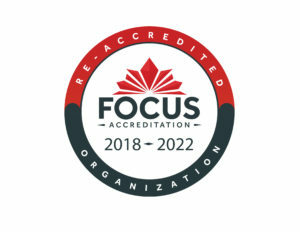 FOCUS Accreditation is pleased to announce that Cornerstone Family Violence Prevention Centre (Cornerstone) has been successful in its bid to be accredited by FOCUS Accreditation for the second time, for four years from July 2018 – July 2022. Cornerstone provides immediate shelter, counselling and prevention services throughout Northumberland County. Cornerstone help women understand their options, and build on positive changes, so hope can take root and grow.